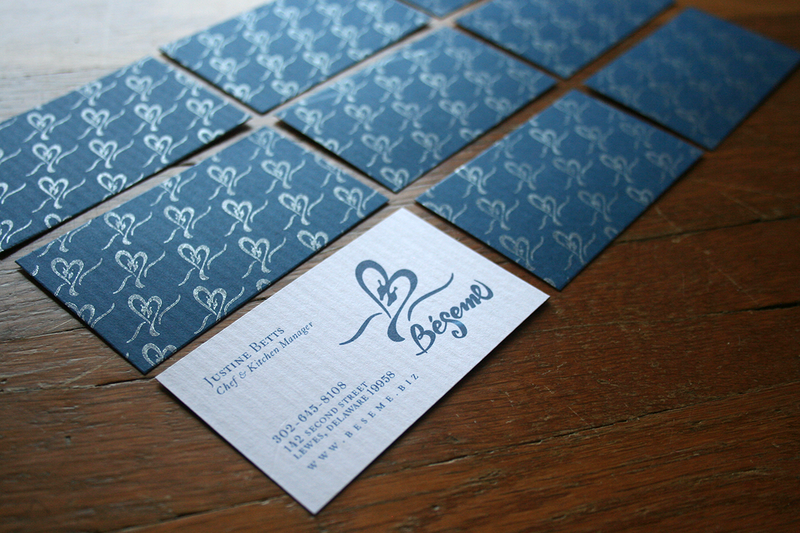 Designed logo, business cards, menus for a restaurant. 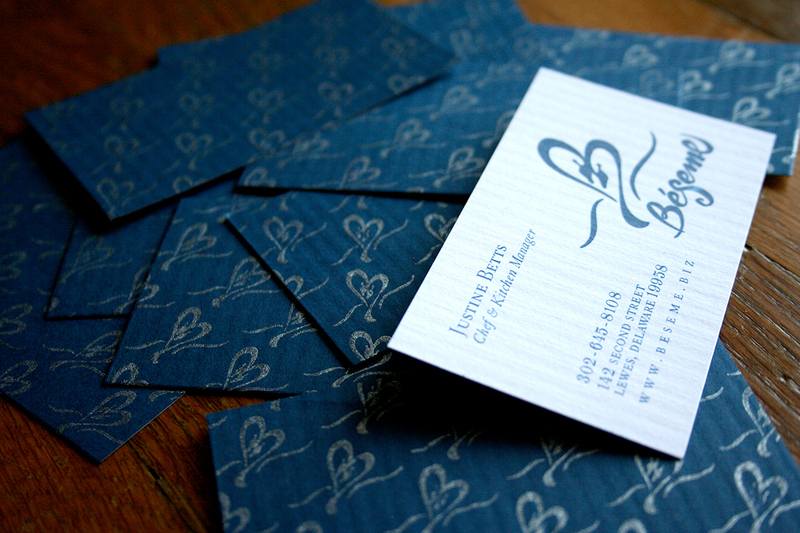 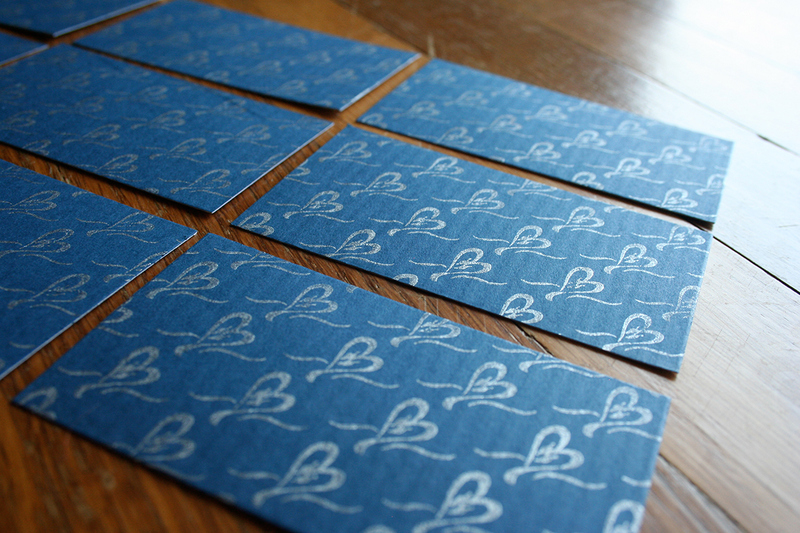 Printed on Neenah Classic Columns Paper, each card was hand-stamped on the back with a custom made repeat pattern stamp of the two swans logo with metallic silver ink. 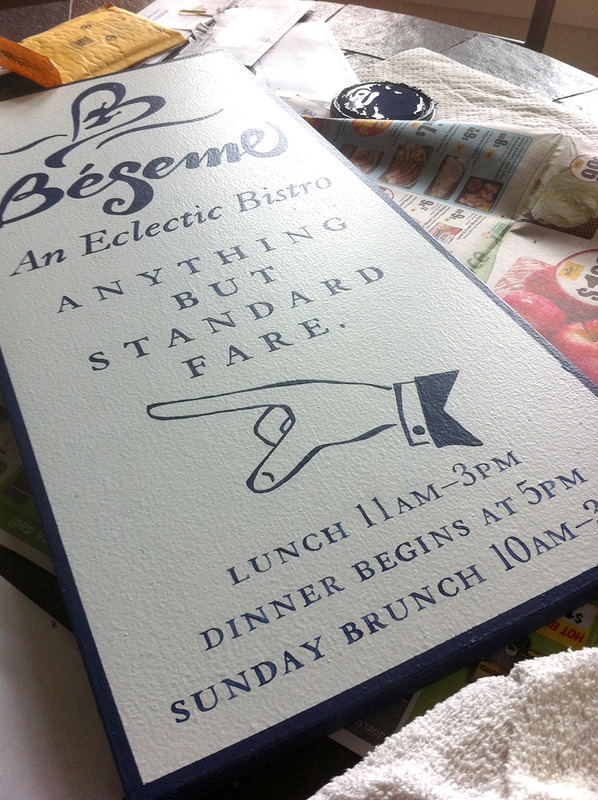 Handpainted sandwich-board signs were placed at street corners, directing foot-traffic to the bistro.